Carolyn Meyer is the much loved author of the Royal Diaries, my personal favourite of which was Anastasia when I was a little girl. 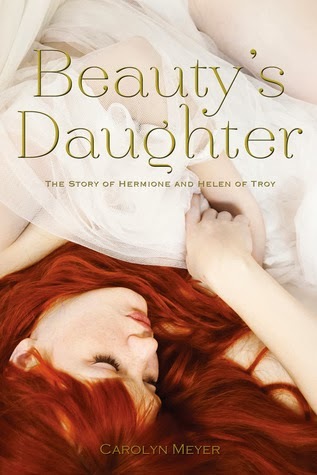 Her newest young adult novel tells the story of Hermione and Helen of Troy. 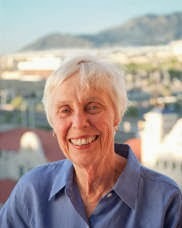 Please welcome Carolyn Meyer! Not long ago my husband and I decided to downsize—sell the Victorian house where we’d been accumulating stuff for years and move into a loft apartment with half the square footage, no attic and no basement. The “stuff” included thousands of books and my mother’s antiques. Choosing what to take with us and what to sell, give away, or toss was painful. The process was a lot like what I go through when I’m writing a historical novel. A new idea comes to mind: a person, a time period, a place, an event. Nothing concrete yet—just browsing, thank you. Then, as the idea starts to come together and take on a shape, I begin the research, gathering countless bits and pieces from myriad sources that might go into the story—or might not. It’s much more fun than writing, especially when it involves a trip to the library, or to Paris or London or Cairo. And it’s less hard work than writing. As a general rule, the more recent the history, the easier it is to find useful information. There's plenty of historical material about Queen Victoria, whose life in the 19th century is well documented, and she kept a diary from age thirteen until the day she died. The same is true of Marie Antoinette and the French Revolution in the 18th century. But as we move back through the centuries, the facts are harder to come by. Despite everything that’s been written about Shakespeare’s plays, details of his life remain sketchy. People didn’t keep very good records in the 16th century —we aren’t sure of Will’s exact date of birth. And by the time my interest had shifted to Cleopatra in the 1st century BC, I was relying mostly on speculation and guesswork. I should have known that writing BEAUTY’S DAUGHTER, the story of Hermione, the daughter of Helen of Troy, based on myths that go back thousands of years to Bronze Age Greece, long before the existence of written records, was a bound to be a mad idea. But it didn’t stop me from trying. Whether the characters I’m writing about are people of the 20th century AD or 20th century BC, I begin the search for information in the same way: heading straight to Wikipedia to get a handle on basic names, places, and dates, and then scrolling to the end of the entry to check the sources of the information. I track down those references, starting at the library, borrowing the books if they’re available and later buying my own copies if they’ve turned out to be especially useful. Making my way through those sources, I get a handle on the main character, figure out who the minor characters will be, and form a general idea of the narrative arc of the story. Once I’ve got a pretty good idea of where the story should begin, where it should end, and how I’m going to get there, I’m ready to start a tentative first draft. For me, the research and the writing are inseparable, simultaneous processes. As I work on that first draft with many stops and starts and detours, I realize how much I still don’t know: What does Hermione’s palace look like? Where does she sleep? How does she travel? On a boat? Why are they called “black ships” in the Iliad? What kind of a sail does it have? How does Hermione get around on land? How many men carry her carrying chair? How does she find out what’s happening in the battles? What is she eating? What’s in that bowl, on that platter on the table? How many handles on that cup she drinks from? What is she wearing? What is she weaving? What kind of loom does she use? How does she spin the wool? What instrument is she playing? How many strings on a lyre? Every chapter, every page, raises new questions. Sometimes I’m lucky enough to find a book that answers at least some of those questions, providing the details I’m looking for, even when I don’t know I’m looking for them. But most of the time I Google endlessly, searching the internet for the tiny, critical fact. If I can’t picture the characters living their lives in intimate detail, I can’t write about them authentically. Meanwhile, as I’m constructing the plot, I’m also searching for the right narrative voice. Most of my novels have first-person narrators, and it usually takes me several false starts and backups to settle into a voice that sounds real and convincing to my ear. Victoria made that job easier. Her diaries provided a vivid and distinct voice, at times petulant, at other times passionate, defiant, stubborn. She indulged a little too freely in CAPITAL LETTERS and multiple underlining, and those quirks capture her personality. Cleopatra was not nearly so helpful. There are no letters, no diaries, no written records of her life more than two thousand years ago. We know that she spoke Greek, as well as Egyptian and several other languages. It was said that she wasn’t especially beautiful but had a lovely speaking voice. So, how would she sound? What kind of words might she have used? How would she have conversed with the people around her? My editor didn’t want Cleopatra to use contractions at all—too informal, she argued. I reasoned that Cleopatra would have spoken formally to her father, but surely she would have used informal speech—with contractions—with her sisters and her servants. That’s how I began to “hear” her. Gathering all that information is only the beginning. After doing so much research, a process that continues from first draft to last, it’s hard not to fall in love with all that fascinating stuff, those wonderful details I’ve been so busy accumulating: the scenes etched on Achilles’ shield, the kind of sandals the god Hermes wore, the paintings on the walls of the megaron. I want to use it all. But in that final draft, before I hit Send and the manuscript flies through cyberspace to my editor, I go through it one more time and ask the same tough question over and over: Does this weigh down the story, or does it move the story forward? If that beautifully descriptive sentence and that fact-heavy paragraph don’t serve the narrative, then they have to go. Just like all those outdated books and my mother’s second-best china. Great questions to ask ourselves as we're whittling down word counts! oh I do love the research part and get lost in my travels through time and place. It was delightful reading that Carolyn Meyer finds such pleasure in this aspect of a well researched novel. Thank you for this interview.